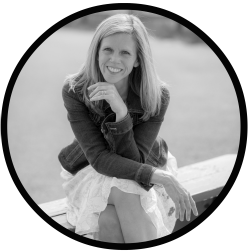 I announced last week that my friend Amy convinced a group of supposed "movers and shakers" to join her in taking risks and embracing the possibility of rejection. Sounds like fun doesn't it? Sure it does. We gather every Thursday to provide an update on the risks we are taking. I'm sharing on Wednesday's with you all. My risk is one big risk I take daily as a wife of an Army Reservist. More specifically, my risk for 2014 is seeking JOY in the year of a deployment. That creepy snake keeps lurking to try and steal my joy. Ask any military family member how to best survive a deployment and a majority of them will tell you to stay busy. I wholeheartedly agree with this statement. However, I don't want to fill my time with just "stuff." I want to explore opportunities to grow spiritually, embrace new friendships and invest in old ones. Risk #1: I have a fear of going places where I don't know a soul. I clicked on her link to find out more about the conference. Conference location: South Sioux City. It would be an easy four hour drive. Finally, a conference within driving distance. I commented on Michelle's post inquiring about the size of the conference and for her input on whether or not it would be a good fit. Risk #2: Expressing an interest verbally. What if she said it wasn't for me? Thankfully, no one told me the conference wasn't for me. Quite the opposite happened actually. The lovely and sweet Lelia Chealey, also attending Compel, sent me a friend request on Facebook and we had a delightful exchange. It did not take me long to fall in love with her. Lelia also introduced me the director of Compel, Jen, and we are now friends too. I'm feeling rather blessed. After time in prayer I felt prompted by God to just say yes. So, I headed on over to the Compel Conference website and registered. I'm going to Compel! The following morning I explored the Compel website further. I decided to confirm exactly how long it would take me to get there so I pulled up mapquest on the Internet, filled in the addresses for point A and B, pressed "Get Directions" and wah-lah... eight hours to South Sioux City. Oops. What happened to my easy four hour drive? It did not take long for me to realize in my mind South Sioux City was Des Moines, IA. Why I thought this I do not know. Silly me for not doing the proper research prior to registering. Can we say I simply forgot in my excitement over God's prompting to just say yes? I spent quite a bit of time beating myself over my oversight. Either way, I had to inform the lovely Lelia of my dumb mistake because I could not make the eight hour drive on my own, especially this time of the year. I shared my mishap with Lelia and was blessed by her response: "I'm so sorry this conference didn't work out, but the rewards for your obedience to step out of your comfort zone will outweigh your disappointment. I believe that. 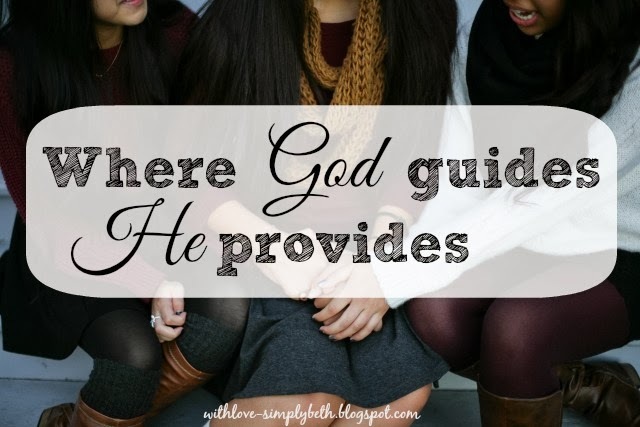 He doesn't let the hard "yes" we give Him go unnoticed." My "yes" did not go unnoticed. I'm still going to Compel. God provided a way. ~ He provided the courage to take a risk and say yes to something outside of my comfort zone. ~ He provided two lovely ladies who embraced and encouraged me even though we've never met. ~ He provided the funds to fly instead of drive. My message is the same as I shared last week... if God calls you to do something, He will see you through it. He will reward you for your step in obedience. As Lelia said, "He doesn't let the hard "yes" we give Him go unnoticed." Consider what I would have missed out on if I had not said yes. Even if the end result had been not attending the conference (because God had something else in mind for me) I would have missed out on making two new wonderful friends. What hard "yes" have you given God recently? Don't you just love God appointments? I am so thankful you said yes! I'm so excited for you my friend. Me too, Barbie. I'm super excited for next weekend. Loved this story, Beth. And I'm really glad that you're getting the chance to attend Compel. And, extra friends as a bonus? Priceless!! The hard "yes" for me would be this last week. My father fell badly a week ago Monday, was in the hospital for a week, and is now at a nursing/rehab facility. He is 83, with some dementia issues, and in so much pain! Just tonight they called me at 11:00 PM and I had to race over there to see if we could get him to calm down and stay in bed if he saw a familiar face. I have spent many hours with him, and then staying with my mom so she isn't alone. Making decisions, solving problems, etc. has been very hard - I'm so glad I have two siblings! Earlier today, I thought to myself that I would never pick these circumstances, I would never choose to go through this, it's just so hard. There's a part of me that doesn't WANT to go through this. And Jesus said to me, "I know. I had to do some things I didn't want to, too." How that consoled me! So, evidently, Beth, courage can also be part of our JOY journey this year! And I can see how God is going to be faithful in honoring our steps outside of the comfort zone! I'm so sorry to hear about your father. I will keep, and you, in my prayers. I'm so grateful for the comfort you found in Jesus. May He continue to comfort you and bring you peace. I think God has plans for our word this year beyond what we can imagine. The journey will not always be easy, but in our faithfulness He will bless us. That's an awesome act of faith Beth! It is so hard to step out of our comfort zone and act in obedience sometimes. We are so blessed to have a loving and patient God who never gives up on us!! :) I am glad you were blessed and encouraged by these lovely women! He is SO good. I can't wait to meet these women in real life. Oh Beth! I NEEDED to read your post this morning. I have already said the hard "yes," but I have been struggling with where to go from here and praying desperately for guidance. Your reminder that God will see that through was exactly what I've been praying for. Thank you! I'm so glad you found encouragement here, Alissa. I'm saying a prayer for you as seek God for guidance. So grateful that our God provided a way! May you be blessed as you attend! My recent hard "yes" was just last week & this is what I learned.....it always reaps a reward or a blessing. God sees & knows it was hard. Now I need to remember the lesson & apply to the next hard yes! Have a great Wed., Beth. Oh yes, "always reaps a reward or a blessing." God does not let our hard "yes" go unnoticed. This is so exciting and inspiring! Way to go to say 'yes'!! Looking forward to hearing all about it! Thank you, Rebekah! It will be exciting to come back and share the experience with you all here. Hey, yes this is awesome! Now I'm wishing I knew about this conference. Seriously, you probably have it all worked out, but I reiterate that I can totally take you to Omaha if you like. And Sioux City (the regular one) is my stomping grounds! Awesome! Let me know, k? LOVE you! I can't wait to meet you! It's another blessing from God as a result of my hard "yes." He is SO good. Yay Beth! That is so exciting! I am proud of you! I wouldn't have done that in 100 years. I wouldn't have even driven 4 hours by myself. Perhaps God allowed you to think it was 4 hours so you would move forward. ;-) I can't wait to hear about it all! I have thought the same, Beth. If I would have realized from the beginning that it was a much longer drive I don't think I would have given attending a second thought. God knew what He was doing. What a blessing to be able to attend the conference! I just know that God will increase your joy through your weekend away! Saying "yes" to God can take courage, but when we do, we are never disappointed! Oh wow Beth, I'm so excited for you :) happy dance! Thanks, Anita. Doing the happy dance over here too! Oh, Beth! What an awesome story of how stepping out in faith can be rewarded! I'm so glad you are still able to go to that conference. But sometimes when our emotions are yanked around like that we learn something about ourselves. Everything happens for a reason! Proud of you! Wonderful post, Beth. Sometimes saying yes opens up new opportunities and new levels of faith. On a side note, I've tried to follow your lovely blog several times (and thought I was already following it), but keep getting an error. I will keep trying. Thank you, Dayle. The Google Friend Connect does not appear to be working for me. I just added the option to follow via Google+. I'm not good with the techy stuff but working with my designed to figure it all out. I appreciate you letting me know as otherwise I would not have had a clue. I'm glad you are going. You are going to have so much fun... those ladies are even better in real life. I'm super excited!! Hope to meet you in real life one day too. Ah Beth, I can't tell just how encouraging this is to read. It makes me want to branch out and risk rejection and just say yes to somethings. Just love how God far exceeds our expectations. He is SO good! I'm glad you found encouragement, Wanda. Go Beth!! Look at you being all fearless! I too, can't stand going to huge events alone and not knowing anyone. This is so encouraging to me to be more willing to step out of my comfort zone and trust God. I hope you have a great time!! Yayyyy!!! Keep stepping out girl!! I am proud of you and can't wait to hear how blessed you get at this conference. Thank you! It will be fun to come back and share with all of you. I saw this on Lelia's Facebook and you will have a wonderful time at Compel. I understand and know just how you feel when it comes to going somewhere where you won't know anyone. I have battled against that fear all my life but God has blessed me time after time with the courage and strength to press on. God definitely wants you to go since he has made sure that the doors have remained open. Lelia and I met 3 years ago while attending Compel and she and Jen are the sweetest Jesus girls you will ever meet! This will be my 7th or 8th year to attend and I am as excited this year as I was the fir, except that I don't have the fear any longer of not knowing anyone:) Enjoy the conference! Thanks for stopping by, Jill. I can't wait to meet Lelia. Will you be attending as well? Oh, Beth, I am SO excited for you!! This is amazing! I'm sure you will have a glorious, rich time! I'm glad it provided some encouragement, Meredith. Praying for you as you prepare to move. What a great story, thank you. (I don't think I ever knew where you lived? Are we closeish? My husband's family is from Northwest Iowa. We drive there twice a year.) I"m so glad you are going and can't wait to hear all about it. Hello Lisa. I'm near Chicago area so we are "closeish." Would love to meet one day soon. Oh wow, how exciting! I'm coming over from #riskrejection and loved reading your blog tonight. So happy for you and hope the conference is everything more than you can even imagine. Clearly God has great plans for you there. Thank you, Melody. I appreciate you stopping in. I need to catch up on all the #riskrejection posts so hope to be visiting you soon. Julie, I live in Illinois. I'm close to Chicago. Super excited to meet you Jen. Thank you SO much for EVERYTHING. How encouraging it is to read your story! I'm so glad for the happy ending and I'll look forward to you sharing how it goes. In 2012 my One Word for the year was Venture, and I was determined to take more risks. Oh my. It was a dangerous year. ha. But a super-fulfilling and growing one! I know your risks are already paying off too. Even though sometimes we will still crash and burn when we take risks, those are life lessons too. So true that there will be times we may "crash and burn" but they are opportunities to learn and I believe it means God has something far better planned for us. Way to be brave, stepping out in faith and following where God is taking you! Looking forward to the report from the conference! I am sure it's going to be A.Mazing! Your post is such an encouragement to me today! I'm risking a lot to fully embrace staying at home full time, but like you said so beautifully, God will provide because this is His purpose. Thank you for being such a good example! Andrea, I'm glad you found encouragement here. Saying a prayer for you right now. Keep trusting in His promise to provide. Thank you, Susan. I'm super excited and know it will be a blessings. I hope one day soon we make plans to attend the same conference so I can meet you! There is something powerful about meeting online people in real life. Online friendships are good, but meeting people in person seals the deal. The first online friend I met in person was Jen Ferguson. Not only did I agree to meet her, but to be her roomie at a conference. The entire first day I was fielding texts from friends asking if she was normal or crazy. Ha! She was normal and wonderful and awesome. I hope you make some awesome lasting connections. Proud of you for stretching yourself. A full report is wanted when you return! You are all kinds of awesomeness, Amy. Hey...I agreed to be someones roomie too. :) Full report will be given upon return. Yay Beth! So excited for you. God can give us literal "wings" (airplane ones that is) when we step out and trust, can't He! Can't wait to hear more about the conference. 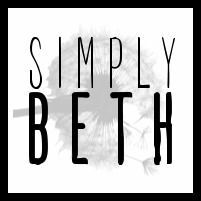 Super duper awesome, Beth!! Excited for you to meet some peeps IRL today and watch what God does at conference. Thanks for linking up with #EverydayJesus. Love you! Thank you, Sharita. Love how God gives us just what we need. Hooray! I'm so glad that everything worked out. What an encouraging post! Ok, I am still playing "catch up" on commenting tonight.... I finally am here to say "Woo hoo" to the news that you are making friends and stepping out in faith to go to Compel. (What a great name for a conference!). Excited for you!